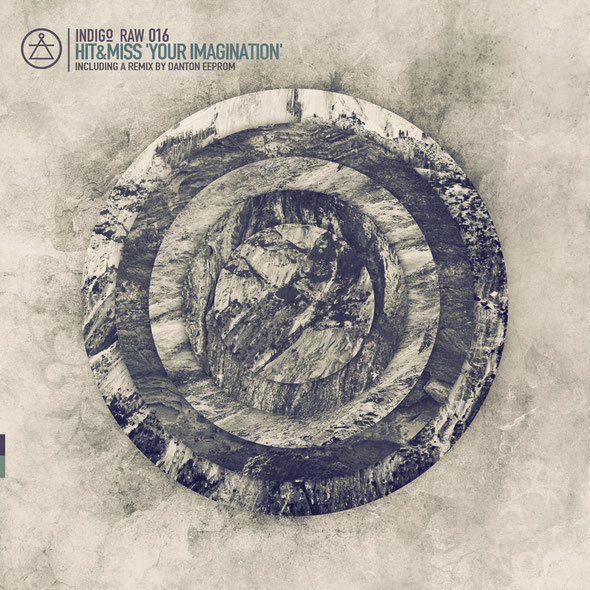 Indigo Raw returns after the recent release from Tom Ellis, this time delivering the debut single from label bosses Paul Loraine and Mirus under their Hit&Miss moniker where they delve deep into the dark subconscious with their debut EP. 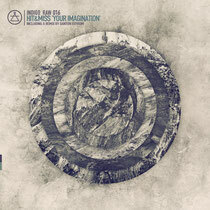 A-side ‘Your Imagination’ is an emotive, freethinking journey that eschews dance floor constraints. On the flip, Danton Eeprom gives the track a more kinetic reworking. The Barcelona based duo roll out a heady jam session on the title track. Capturing the synergy of their studio impulses they create a spacious flow of twisted funk and dark machine soul. With each element given time to find its realisation, jazzy synths seemingly search out emphatic chords. Unhurried drums push and pull at the fabric of the track, while haunting keys and an omnipresent plucked bass go to work. A strangled snare hints at a more rigid direction, only to emphasise the slowly unfolding, low slung groove. Frenchman Danton Eeprom ramps the track up to a house tempo. Paying homage to the original, he transforms the track into a meandering piece of melodrama. Setting ethereal vocals against waves of sub bass, subtle percussion allows Eeprom’s remix to seductively reveal a lighter side. Rasping claps and piping woodblocks draw the track into an aquatic netherworld of bright ebbing synths and gently flowing pads. It’s out now.